Watch Forces TV exclusive report as British 3 RIFLE company is giving the new SOURCE Virtus Soldier System “a good workout” in exercise Rattlesnake in Louisiana. Forces TV latest report from the British – US joint exercise Rattlesnake where British soldiers are getting acquainted with their brand new Virtus Soldier System developed by SOURCE. 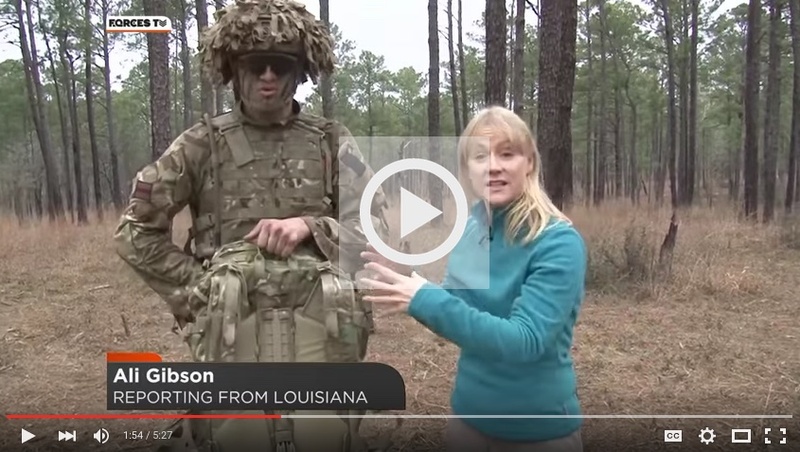 “Virtus is lighter, slimmer and more flexible than its predecessor, designed to give the future soldier more comfort, mobility and endurance.” Ali Gibson is getting the first hand feedback on tape in her report from Louisiana. Ali Gibson looks at how Virtus is performing on Exercise Rattlesnake and whether it’s really suited to the demands of today’s modern soldier.